This step is a given. A team does not consist of one person but rather many people who each have tailored roles. Trying to tackle every task between just one or two individuals can actually inhibit your growth, as it does not allow you to give adequate time to focus on important entities. Whether you keep your team small or expand, ensure that you are in constant communication with everything. Additionally, find team members that are experts in different segments of the business. Outside of your internal team, you will want to find great freelancers and contractors. Research online, view their portfolios, and interview several candidates to ensure they can work within your deadlines. Start by assigning a small task and then build. Once you find the right freelancer to do the job, continue to work closely with them and reward them in the same way as your immediate team members. This will build a sense of trust and cohesion even though they may not be directly in your presence. Although it may seem counterintuitive, collaborate with others in your field. This allows you to have a thriving referral business and builds an alliance of team members outside of your company. The further you reach, the more likely you are to be referred customers. People are more likely to help you if you can return the favor and being inclusive to collaborators helps build business as it opens the door to opportunities you may not otherwise be considered for. 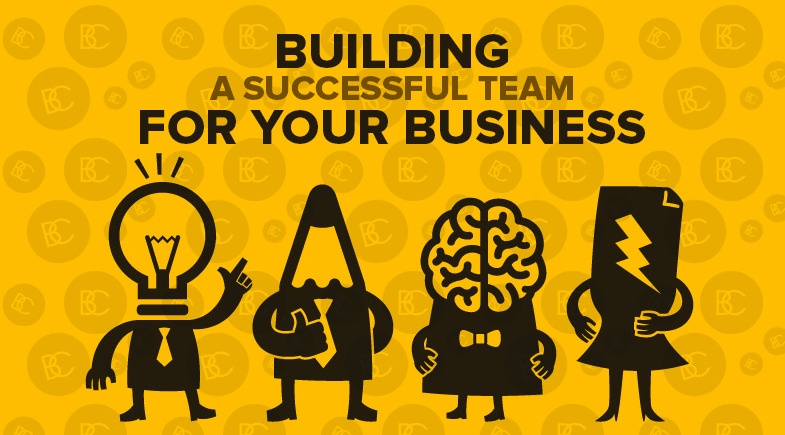 Building a successful work team can be a challenge as you are working with varying opinions, knowledge, values, and experience, but teamwork and collaboration is essential to further your business. When each member feels empowered, they can act with minimal direction and share openly. Brian Cozzi, Inc. knows first hand the importance of this component in driving success. To learn more about how we can help with your consulting needs, contact us today!